Valuable service for God does not end when a person retires. The psalmist declares, that even in old age they still bear fruit. The senior adults at Christ Covenant are committed to “reinvesting” their time, wisdom, experience, energy, talents and gifts in our younger generations cheering them on and assisting them in running the race set before them. They see growing old not as a right but a privilege allowed by God to serve a little longer in the service of their family and of their God. 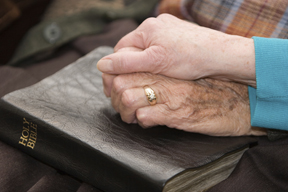 The seniors ministry offers two Sunday school classes. Click here for current studies in each class. Young Seniors - This is a community where folks of all stages and walks of life can relate to each other. The pastor for this community is Bernie Lawrence. Senior Adults - The senior community is very active at Christ Covenant, enjoying our golden years with a zeal for serving our Lord. The pastor for this community is Bruce Creswell. The Joy Singers meet every Monday from 1:30-2:30 PM in WC105. We prepare music for Sunday night services and to bless residents at nursing homes. We are blessed to have our organist, Pam Eash, as our director. Come and join us as we lift up our voices in praise to the Lord. See below to read the most recent issues of our Senior Adults newsletter, "Between Seedtime and Harvest," with more details on the special events.